InterContinental Fiji Golf Resort and Spa is located on the beautiful and picturesque Natadola Beach on Fiji's main island of Viti Levu. 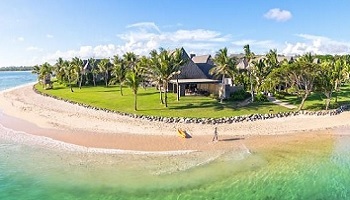 Relax, indulge at the spa or play golf at Fiji's finest course. Fly north to Savusavu. The northern unspoiled location offers you the genuine warmth and friendliness of the Fijian people, beautiful lush tropical surroundings, and warm, impossibly clear waters. 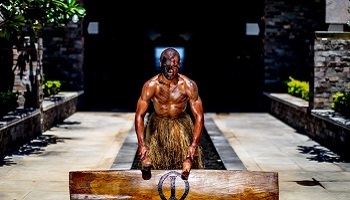 In a remote setting that defines paradise, Koro Sun Resort & Rainforest Spa immerses you in a genuine Fijian experience that’s nirvana to the core. In the unspoiled native north on “Fiji’s other big island” of Vanua Levu, this 160-acre sanctuary was born of a nature lover’s dream. The tropical retreat is etched within a coconut plantation that’s encircled by lush rainforests at the edge of a stunning private lagoon. From the moment you arrive, the Koro Sun staff embraces you like family. They greet you with a song that welcomes you to your home away from home. 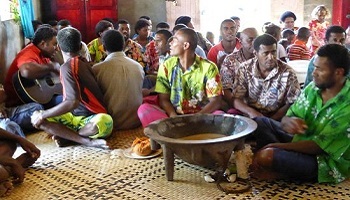 Certainly, the Fijians are known around the globe for being the most warm and friendly islands on earth. 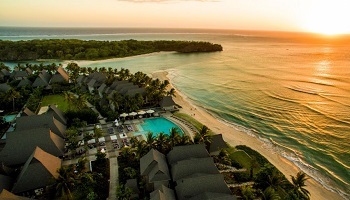 That hospitality – coupled with our diverse accommodations and recreation – has made Fiji’s Koro Sun Resort an international favorite for relaxing holidays, active family vacations and magical romantic getaways. Meet and greet with a traditional Fijian welcome. 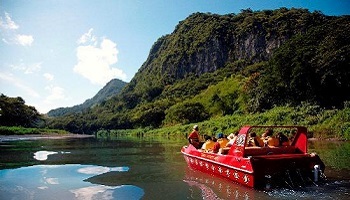 Transfer by private car an ddriver to Natadola and The InterContinental Fiji Golf Resort and Spa. This Fiji accommodation is set on 35 acres which boasts manicured tropical gardens and a palm fringed white sand beach perfect for swimming and snorkeling. This luxury 5 star Fiji resort provides breathtaking 360 degree views of Natadola Bay and is ideal for a luxurious romantic escape. Discover the best in luxury resorts Fiji has to offer. Club InterContinental offers sweeping views of Natadola’s two kilometer white sand beach and sparkling waters, enviably spacious suites, and unparalleled privacy. Enjoy a good book in the comfort of your terrace whilst dipping your toes in your private plunge pool and sipping coffee, made and delivered by your iTokani Butler just moment before. Club InterContinental accommodation is available to guests of all ages; where guests experience exclusive privileges and personalised service from our iTokani butlers only at the best Fiji resort. The 115 square meter One Bedroom Club Suites feature a King bedroom with his & her en suite, separate lounge and dining area, and sophisticated outdoor living space. The top floor suites offer a private balcony, day bed and our signature outdoor Cleopatra bath. Offers a range of treatments reflecting a fusion of Eastern and Western traditional techniques to harmonise the body and mind. Be pampered with a tropical botanical facial, traditional Bobo massage or the Signature body polish. Open daily from 8.00am to 10.30pm. Private car and driver transfer to Nadi Airport. Fly Nadi to Savusavu. Upon arrival you will be meet and transferred to Koro Sun Resort. Savusavu remains largely untouched. That’s the allure of Koro Sun. It’s an exclusive respite from hectic routine that helps you regroup, refresh and revitalize amid the pure elements of nature. But all the authentic simplicity of the Fijian way of life awaits you just beyond in the island’s charming villages and lush natural environment. The New Edgewater Bures were built with romance in mind, offering the newest addition to Luxury at “Edgewater Lagoon”. The bures offer a traditional Fijian style with tropical thatched roofs, and a private porch elevated above the ocean below. Each porch offers a private beach area with ladder that leads directly into the blue lagoon. These bures offer guests spacious bathrooms with his and her vanities, King sized romantic beds, and expansive views of the lagoon from the tropical lounge area and master bedroom. The New Edgewater Bures offer the best value for guests seeking a waterfront experience in beautiful Fiji. KoroSun Dive: A PADI certified SCUBA diving operation with a fully equipped dive shop and custom-built dive boats. Our professional staff are able to provide introductory SCUBA instruction, full Open Water, Advanced Open Water, Rescue Diver, Emergency First Response, DiveMaster and Specialty Certifications. For certified divers we generally offer a 2-tank morning dive, departing at about 8:30am and returning to the resort in time for lunch. Additional dives and day trips may be available depending on diver interest and weather conditions (see below for details). Certified divers are required to produce a certification card prior to diving as proof of training and are required to complete a liability and indemnity form prior to diving. Towels and light refreshments are provided on board the boat at the surface interval. Fish, Fish and more fish … join our activities guide on an awesome snorkeling trip to the Split Rock! This trip is a 30 minutes ride from the resort; you’ll then swim from the beach out to Split Rock pinnacle about 5-10 minutes. This location is known for colorful fish! 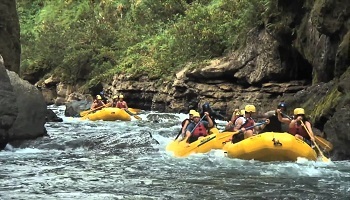 The easiest way to paddle is leisurely downstream. Now what if you could paddle downstream traveling both directions! On our Salt Lake Kayaking adventure, we follow the tides so you’ll never have to fight the current. A 15-minute ride will take us to the "put in" spot on the river, and with the incoming tides, paddling upriver to the great Salt Lake is easy. Simply let the gentle ocean currents be your guide. We’ll arrive at the island’s largest salt lake, where exploration of the tranquil beauty is compulsory. Your guides will entertain with legends of the area and tales of the Fijian god of the ocean, who guards the lake entrance. As the tide turns, we "go with the flow," heading down river toward the ocean. Once there, a van awaits, ready to take you home to your resort the Koro Sun. Owned by marine biologist Justin Hunter, Savusavu’s Black Pearl Farm is a great pride of the Fiji Islands. Tour the various stages of oyster development, and make sure to bring a mask and goggles to get a true close up of the rows of underwater oysters. Stopping by the showroom after your tour may tempt your desires, as these pearls are truly the gems of the South Pacific. Spend the morning with the dolphins in Natewa Bay, the South Pacific’s largest bay and home to two pods of spinner dolphins! We transport you to a picturesque Natewa Bay to have the ultimate Fiji experience, beyond quaint villages and untouched Fiji Island coastlines. The bay itself is a unique ecosystem, with spectacular Fiji snorkeling. Finish the afternoon at a private estate with freshly made pizza for lunch. We do not guarantee a dolphin sighting. A cool, and refreshing Fiji treat! The Waterfall is hidden atop a verdant hillside, with crystal clear waters and a "natural" swimming pool just waiting for you to take the plunge. Whether you’re searching for a romantic trek on your Fiji honeymoon vacation or something to wow the kiddos, our waterfall tour is a perfect choice. Saturday is market day. It’s a bustling time when locals shop for fresh fruits and vegetables at the municipal produce market downtown. Check out the variety of mangoes, papayas, and root crops, then stop by the fish corner to see the ‘catch of the day’. You may enjoy stopping at a fresh fruit juice bar or checking out the local Fijian souvenir and handicrafts shops. Head to this beautiful beach with a healthy picnic lunch on one of Vanua Levu’s most hidden treasures. Wina is just a 5 minute transfer from Koro Sun, with crystal clear waters and a sandy gold beach. There isn’t much that rivals a setting complete with a beach blanket on a sunny day with the chatter of the shorebirds, the lapping sound of the surf on the reef, and a bottle of red or white wine and a dip in the lagoon will enhance your day.